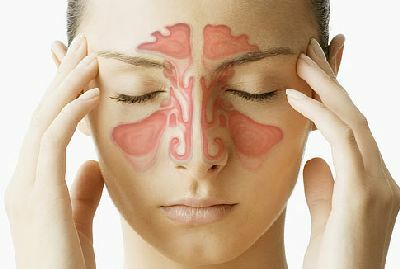 Sinus or Sinusitis is a condition that causes severe headaches, face pain and nose blocks. When the empty spaces called sinuses within the face bone flame up, they cause headaches, nasal congestion, eye pain, fatigue etc. Boil some tulsi leaves in water and use this for steaming. Inhaling tulsi vapours brings relief to sinus headaches. Crush a few buds of garlic and tie it to a piece of cloth. You can inhale this cloth by keeping it close to your nose for relief. Prepare a paste using cinnamon powder and warm water. Apply this paste onto your forehead and nose to get relief form nasal congestion and headache. Make a decoction of ginger and tulsi in warm water and drink it every day. Traditional ayurvedic medicines along with panchkarma for sinusitis help to fight with sinusitis completely. Along with these, practice some simple everyday yoga to improve breathing and to maintain good oxygen levels in the lungs. Also try to meditation.